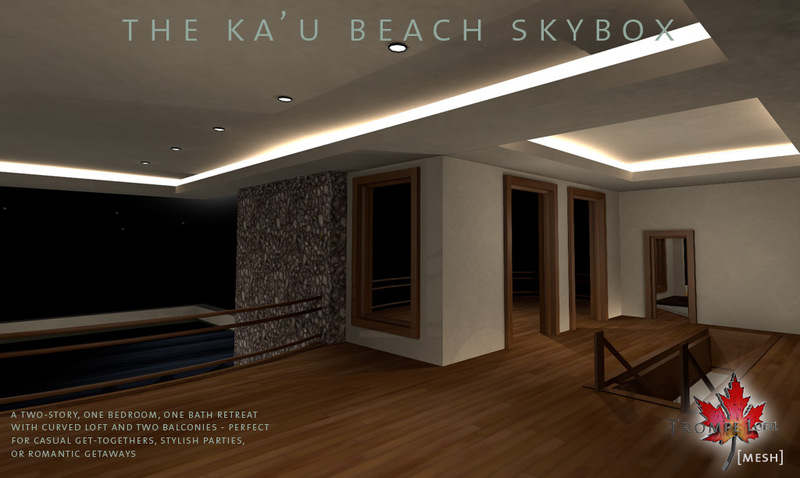 >>Update 2/22/12<< Included with your purchase is a no-furniture, no-baked-furniture-shadows version for people that like to decorate from scratch! 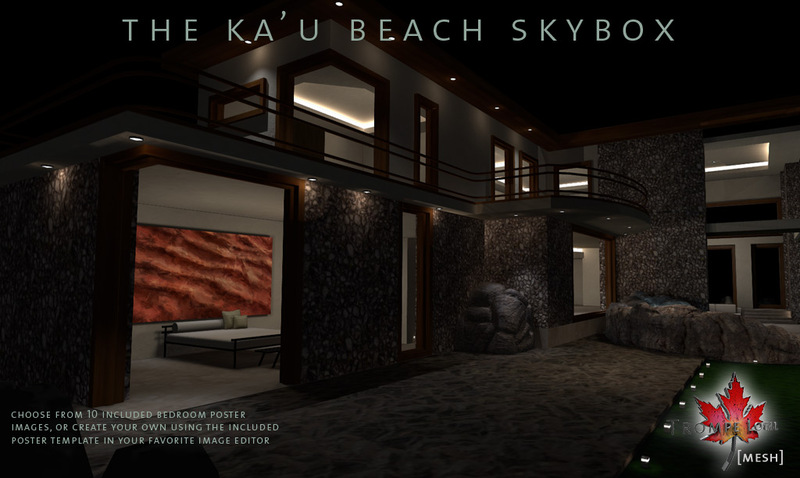 Two Ka’u Beach Skybox versions plus two extra textures to further modify the bathroom – all for only $L999 until March 3! 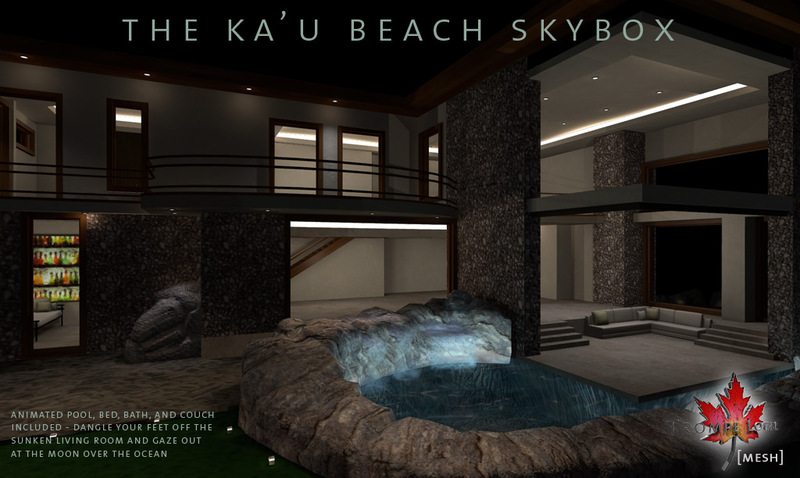 The Festival of Sin starts at noon tomorrow, and for the sin of vanity Trompe Loeil has created a fully-baked, semi-furnished, animated mesh home and skybox that is truly ego-boosting! This stunning home simply must be seen to be believed. 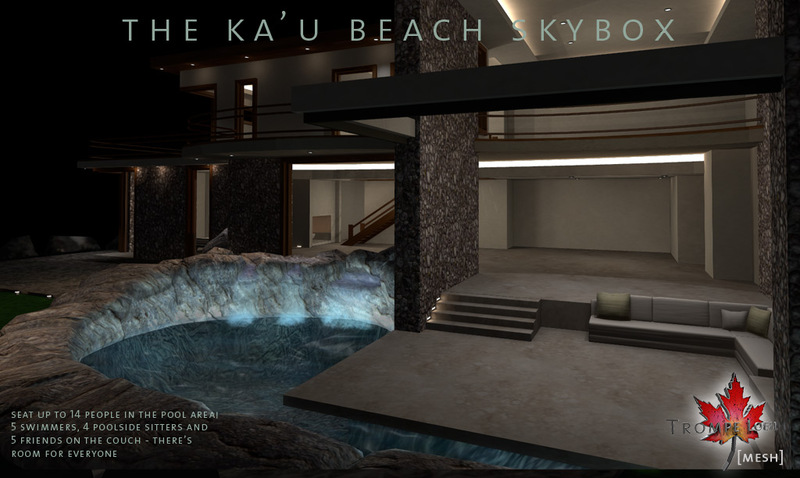 Fully-baked mesh, two stories, semi-furnished with animated bed, bath, couch and pool – sit 14 people in the sunken living room and pool without adding a single new piece of furniture! 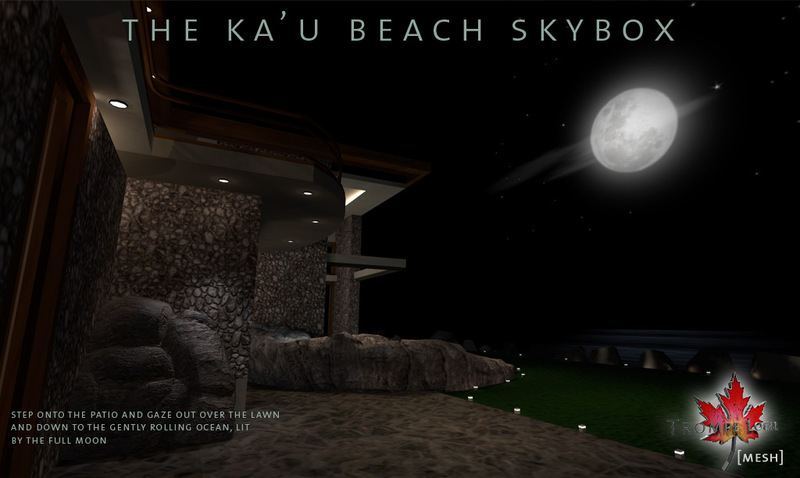 – ten bedroom posters included along with a full-permission template and instructions on how to add your own custom photos, fire bowl, animated ocean effect under a hazy full moon…and every bit is baked for ultimate realism and fastest processing, no high hardware settings needed for a fantastic look! 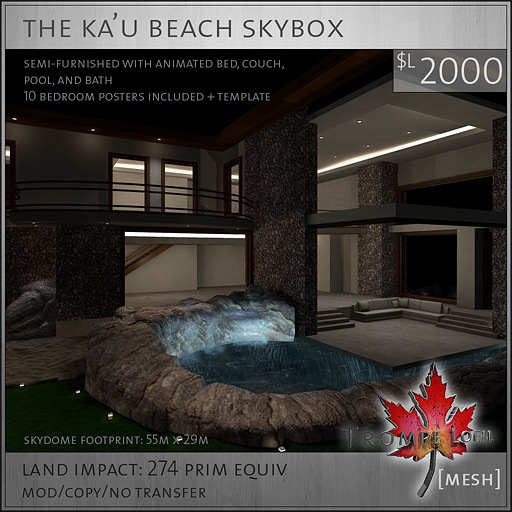 This beautiful new home was designed for the Festival of Sin and is offered at a special low introductory price during the length of the Festival – pick up the Ka’u Beach Skybox for the low price of only $L999 until March 3! Purchase on the Marketplace here! Visit the Festival of Sin for more fantastic items from tons of your favorite designers starting Saturday at noon!